Operators of the TTi TopCrop Trailer say it "hasn’t skipped a beat"! 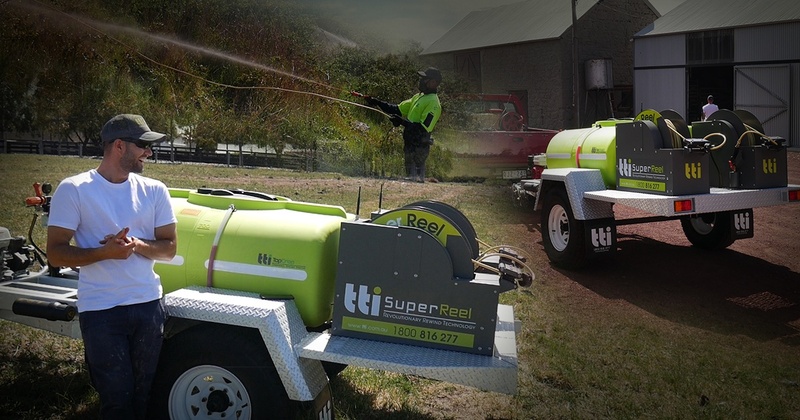 Sprawled on the outskirts of Melbourne, this thoroughbred stud farm were looking for a dual auto rewind reel spray trailer that could handle extremely rough and steep terrain, with artichoke, box-thorn and blackberry being the main weeds that needed to be controlled. A TTi TopCrop spray trailer was the PERFECT choice! After using the trailer almost every day for 3 months straight, the operators say it "hasn’t skipped a beat". Being located at the top of a steep gorge, the trailer is parked at the top of the embankment while the operators carefully climb down the embankment, spraying weed as they go. "We have been in some pretty rough terrain here, with all rocks and steep hills and prickly blackberries, and the TTi unit hasn’t skipped a beat!" Even after continually dragging and rewinding the hose over sharp rocks, prickly blackberries and other objects, Stephan can still say, "the hoses have lasted and haven't had any problems" after months of use! The Australian Made hose is designed to be used in the toughest of conditions, and stand the test of time. Two Operators, Twice the Speed! 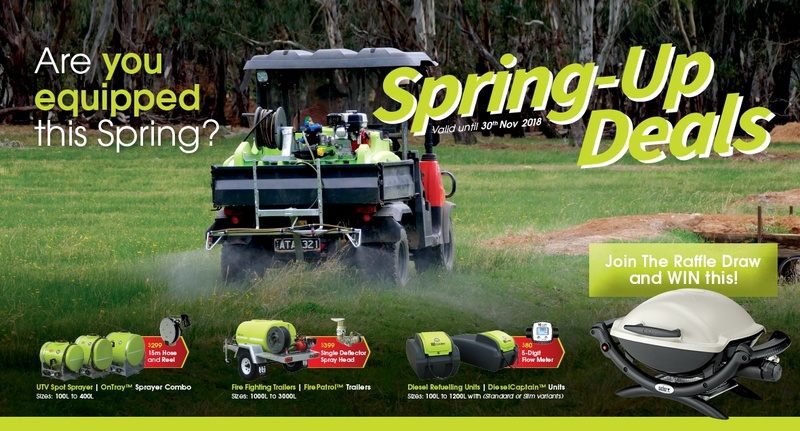 The dual reels means two operators can be using the trailer at the same time, getting your spraying done twice as fast! The 54L/min pump, coupled to a GX200 motor has enough pressure to run both reels, and by getting your job done faster, your pump and motor are running for less time. Fitted with the auto-rewind, 12-volt SuperReel, made by TTi, with the press of a button - the 100, 150 or 200 metres of hose length options will rewind. Powered by a low-amp electric motor, it will not drain your battery at a rapid rate! These reels are powerful enough to assist the operator up the side of a hill!